The golden days of aviation are so romantic to me. 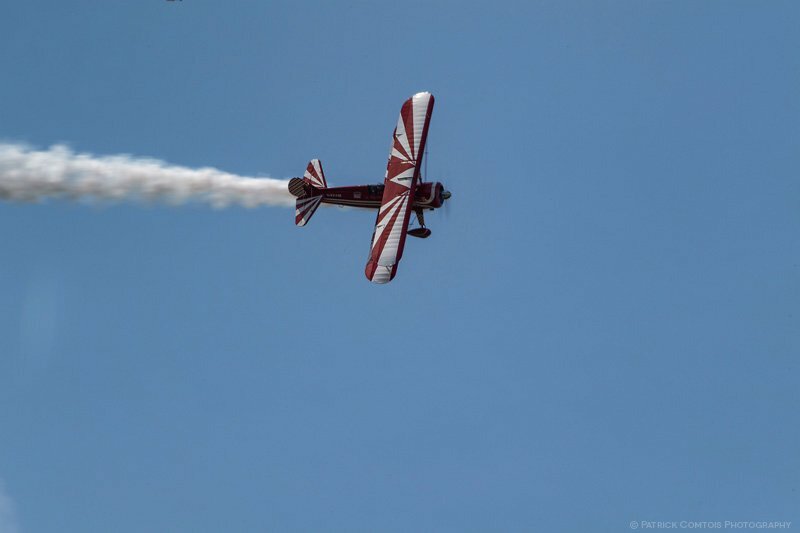 Open cockpits, biplanes and feeling the wind on your face giving you the feeling that you are heaven bound just cannot be beat! Many of these gorgeous aircraft are still flying today thanks to efforts of passionate individuals with a love of aviation. 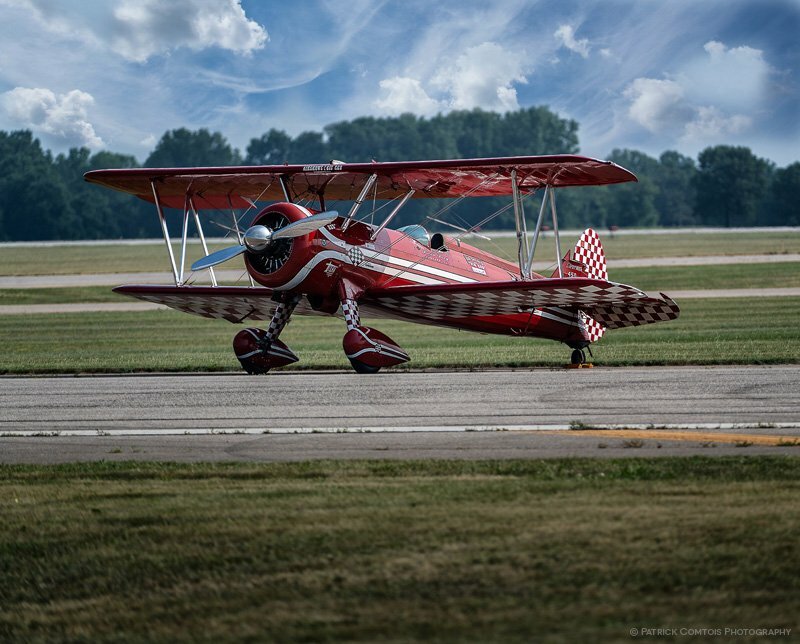 This super Stearman is just one of those planes. 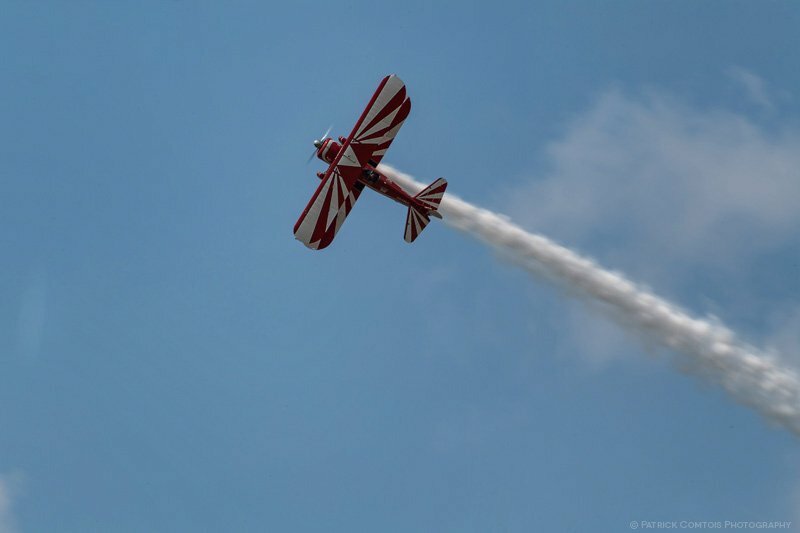 I had the privilege of watching this beautiful machine in action as the talented pilot Susan Dacyput this aircraft through some incredible maneuvers. Big Red, as it is affectionately known, started life as a World War II trainer for young naval aviators. Originally powered by a 220 h.p. engine, Big Red is now outfitted with a powerful Pratt & Whitney 450 h.p., supercharged engine. With injected fuel systems, and inverted fuel and oil modifications, Big Red is ‘at home’ both right side up and upside down. Other additions to the aircraft include a canopy, wingtip strobes, lights, modern radios and removal of the front cockpit to make room for the inverted fuel system, and environmentally safe airshow smoke. Weighing in at over a ton, Big Red has a wing span of thirty two feet, and is more than twenty five feet long. Big Red performed at the Battle Creek Field of Flight airshow. It was great family fun.